Duluth Harbor Cam: Winter Storm Warning! 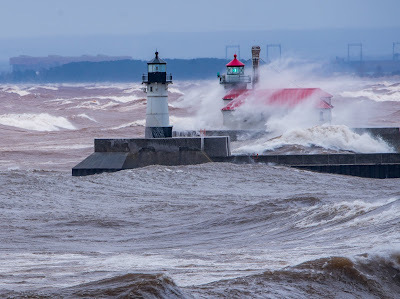 In a replay of last years powerful winter storm that damaged the Lakewalk and caused other damage, we can expect the same scenario tomorrow with waves approaching 20 ft and winds in excess of 60MPH with heavy snow. 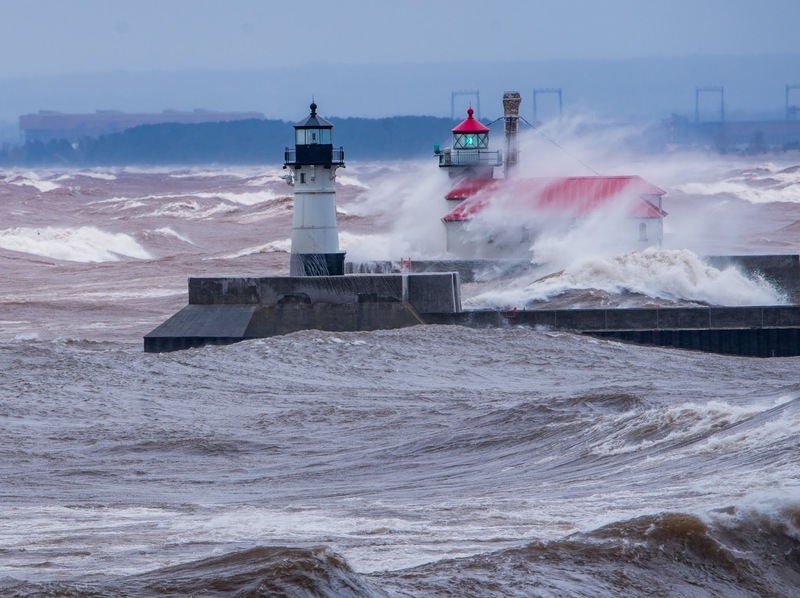 The power of Lake Superior will be on full display! 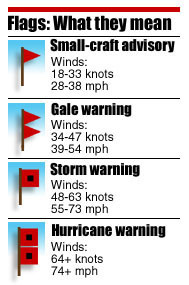 Boats will be sheltering by this evening. It is 72 here. I would like to see one more snow! I will get to see the snow on the webcams. Best investment I have made. It is 4 pm cst and the water is already being blown around on the walkway on the canal. wow that is cool even though it will cause problems. Well that wind and waves will finish off the last of the ice for sure.